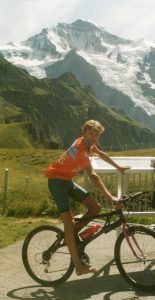 Cycling through the Swiss alps numerous times during my teenage years is an experience I will never forget. Little preparation or planning, a bike, a map, some tools, some food and lots of Yorkshire enthusiasm. 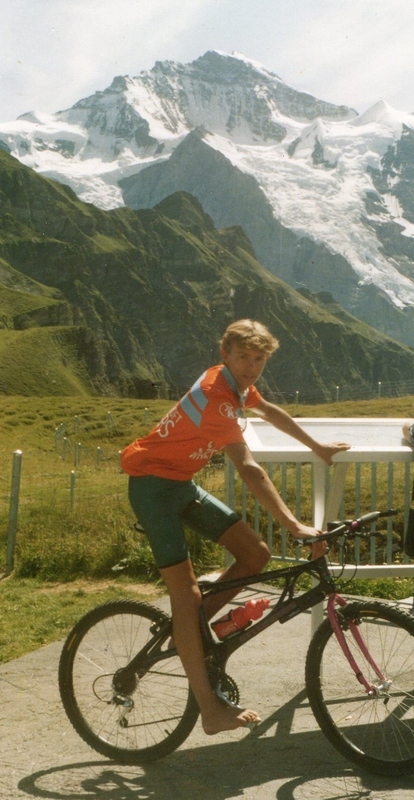 Long days in the mountains, sometimes at speed, sometimes with my dad, 60mph or 10mph. Setting off at dawn and riding up the twisting steep village roads through the morning mist and cloud, cow bells ringing and farmers greetings. Four hours of climbing to be met by a lone Scottish piper, blue skies and a view to die for. Topping my water bottle up with the purest glacial water on earth for the 30 minute descent. My bike provides such fun, enjoyment and adventure. A simple, pure, beautiful hobby that will be part of my life forever.